It’s been months since our last Disney contest update and a few of these are ending soon! Be sure to jump on them before you miss out. Leave a comment below telling us which you like best so we can look for more of them! Pop Up the Magic (Pop Secret) You do have to buy some Pop Secret popcorn to enter this one, but it’s a really great prize! Prize includes: 5 day, 4 night trip for 4 to Walt Disney World, airfare, hotel at resort, ground transfers, Park Hopper tickets, $500 Disney Gift Card, Memory Maker, Signature Dining experience, VIP viewing for a parade or show, Disney Character Meet and Greet, Disney Character Dining experience (contest ends April 1, 2018). Coffee to Castle Sweepstakes (Joffrey’s Coffee & Tea Co) Prize includes: 5 day, 4 night trip for 4 to Walt Disney World, airfare, moderate resort room, 4-day Park Hopper tickets, ground transportation, $50 Joffrey’s Coffee Kiosk Gift Card (contest ends March 18, 2018). Magic of Storytelling Sweepstakes (Disney) Prize includes: 5 day, 4 night trip for 4 to Disney’s Aulani in Hawaii. 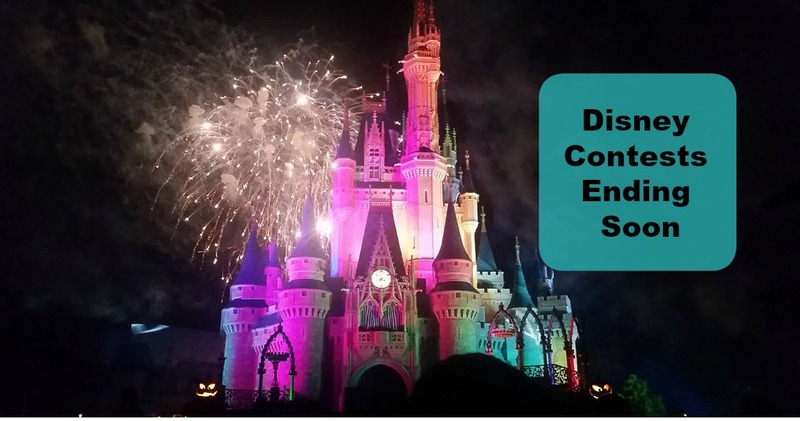 Standard room, airfare, ground transfers, $500 Disney Gift Card (contest ends March 31, 2018). Surprisingly there are no Disney Cruise contests right now. We usually see at least a couple of those running. But for now, we’ll take a trip to Walt Disney World or Aulani! If we find more, we will add them! COOL. THANKS FOR PUTTING THEM ALL IN ONE PLACE.